VINCENNES, Ind. – Vincennes University scored a resounding win with the new CNC Machinist NOW program, 100 percent graduation and placement rate. The Veterans Administration approved program targets military veterans and adult learners to enter careers as CNC machinists, a career in high demand. Following 16-weeks of training at VU, the first class graduated December 20 and was immediately employed at Stark Industries/JWS Machine, Terre Haute. "To be able to have someone go through a program like this and come to us definitel . . . 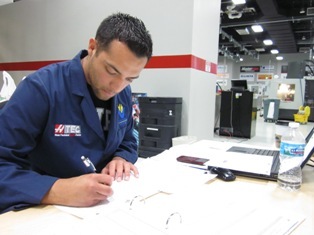 The Vincennes University Haas Technical Education Center (HTEC) in Vincennes, Indiana now offers an accelerated CNC training program for military veterans and civilians. The program was developed in response to direct Advisory Committee recommendations, and in response to the high rate of unemployment among veterans, and the severe shortage of CNC machinists nationwide. It is the perfect complement to VU’s associate degree program because it reaches an untapped demographic of highly motivated and dedicated individuals that is more suited to an accelerated program, and nearly doubles the yearly . . . 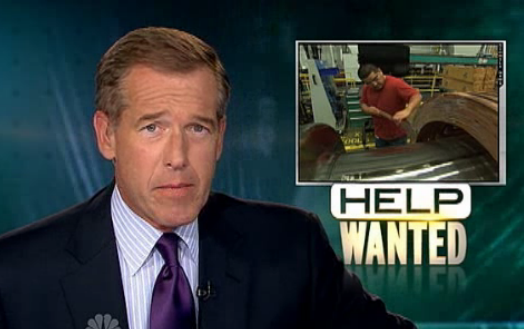 In case you missed this on NBC Nightly News August 18, Siemens has 3400 jobs waiting to be filled, the problem is the ‘Skills Gap’ Watch the broadcast. 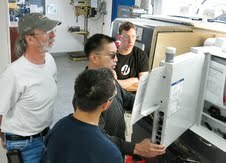 See how the HTEC Network and the VU-HTEC CNC Training Center can help. U.S. manufacturers face a tough dilemma: They need well-trained CNC professionals to maintain or expand production levels, but the country currently has a critical shortage of these skilled workers. 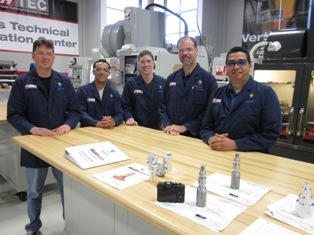 Increasingly, companies and shops needing qualified machinists and engineers are starting their search at their local Haas Technical Education Center (HTEC). The HTEC network is a cooperative system of more than 1200 universities, colleges, technical schools, and high schools committed to providing students with a relevant, high-tech, hands-on education in . . .
Randy Auberry left the U.S. Navy in 1985. He's been looking for another job with purpose ever since. "I couldn't find a job with the same job satisfaction. When you're in the military you feel you're an integral part of a much bigger picture," Auberry said. Auberry found exactly what he was looking for thanks to Vincennes University. This fall the school launched a new program that teaches machining trades to veterans. "The goal of the program is to find those veterans who . . .
DEARBORN, Mich., OXNARD, Calif., (August 19, 2013) — The Gene Haas Foundation continued its commitment to education and training today by making a gift of $1 million for scholarships in manufacturing and machining training and education to benefit as many as 1,000 students in North America, Europe and South Africa. 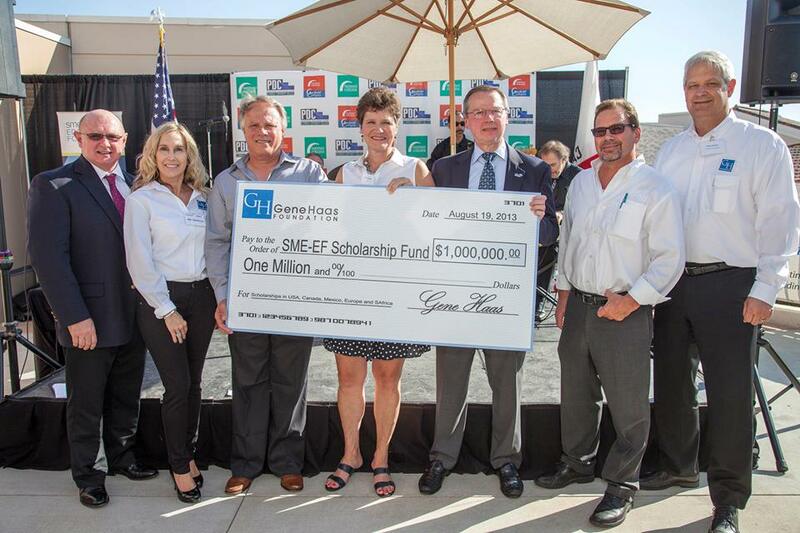 In a ceremony next to the Haas Technical Education Center on the Glendale (Calif.) Community College campus, Gene Haas Foundation Board Chair Bob Murray presented a check to Kathy Burnham of the SME Education Foundation, which will administer the scholarship fund. “Manufacturing i . . .
HTEC, our training programs and more, please contact us.